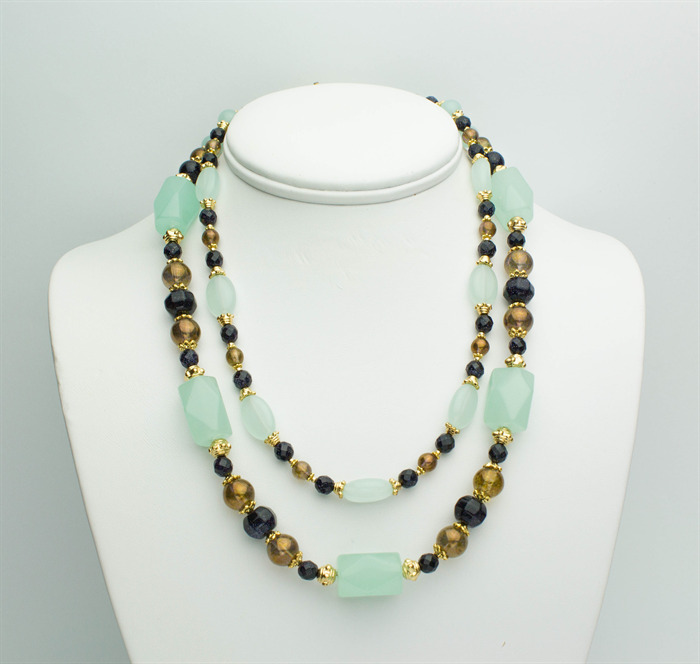 This stunning two strand necklace is designed from Electroplated Gold beads and bead caps, Gold Filled Toggle clasp, Czech copper lustre beads, pale opaque green glass nuggets measuring 2cm long and matching ovals measuring 1.5cm. The dark navy goldstone beads have wonderful highlights in them of silver, copper and pink which had flash and sparkle to the piece. The longer strand measures 48cm. 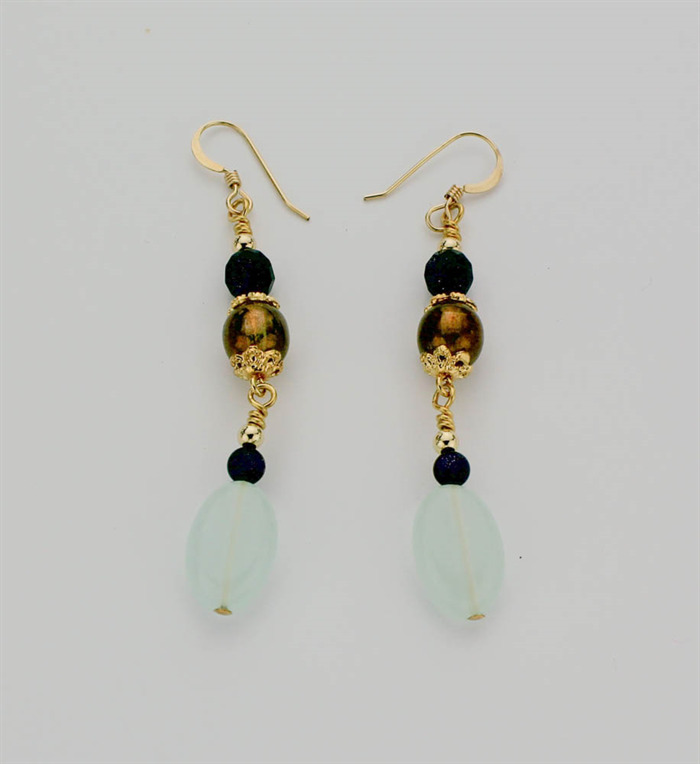 Comprising similar beads to the Necklace, these Earrings hang 5.5cm beneath the Gold Filled earring hooks. Each earring weighs 3.1g. 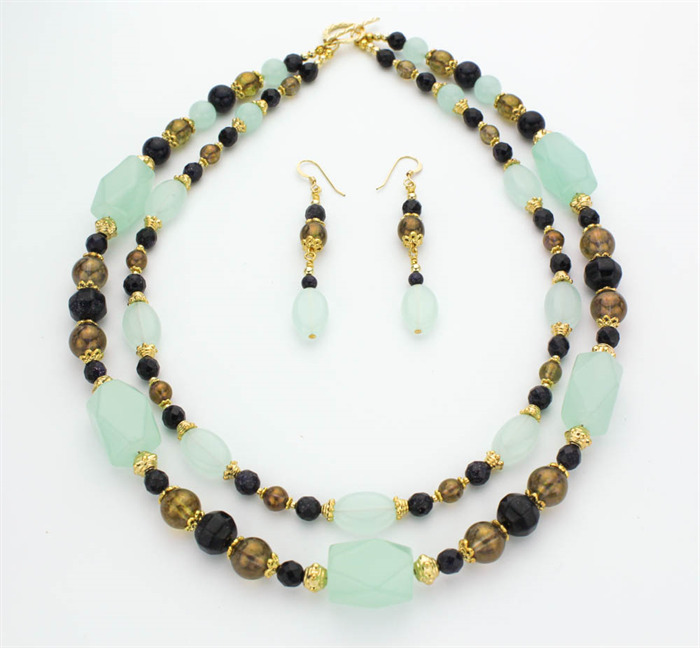 This Necklace and Earrings are suitable to wear anywhere where class, style and elegance are required; perhaps in the office, in an executive position, the board room, an important lunch, dinner, an evening out. As this is an original one off design that will not be repeated, you will not see your jewellery on someone else across the room.